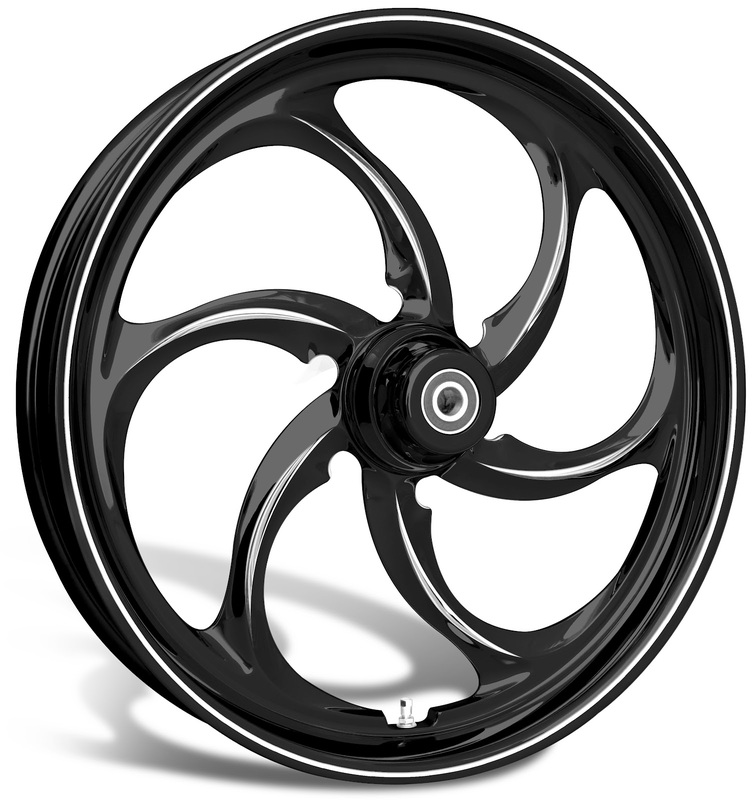 WanaRyd Motorcycle is pleased to announce the introduction of The Reactor, a unique 6-spoke directional 3D wheel that’s part of their Stark-Line Series…a new premium line of 3D forged one-piece billet wheels. The Stark-Line Series features a revolutionary new finish that is totally unique and proprietary to WanaRyd Motorcycle. The Stark-Line Series Reactor wheel is a sensational 3D cut 6-spoke wheel…Designed for those that want a clean yet crazy look. WanaRyd Motorcycle was started over 9 years ago and has been committed to producing cutting-edge forged one-piece billet wheels of the highest quality. They spend hours upon hours of design time developing their wheels to create simplistic, yet “timeless” designs with plenty of style by using 3D tooling technology. All Stark-Line Series wheels come with a lifetime structural warranty to safeguard riders against some of nature’s toughest forces that could potentially damage wheels. The Stark-line Series offers 6 different wheel designs as well as matching rotors in 3 different styles and sizes and matching pulleys (including Cush drives which most other wheel companies don’t offer) and are available for all 1984-Present Harley-Davidson models, many Victory models as well as other metric cruisers. All Stark-Line Series wheel designs are also available in chrome or black powdercoat. For those interested in obtaining more information on WanaRyd Motorcycle, you can reach them at 888-926-2793, email them at sales@wanaryd.com or check them out online at www.WanaRyd.com.